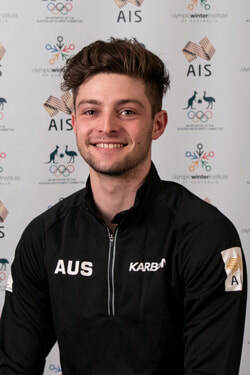 Brendan Kerry is the five-time Australian Men’s Figure Skating Champion, the first Australian to land two different quad jumps (toe-loop and salchow) at an international competition and has already qualified Australia for a men’s quota spot at the 2018 PyeongChang Olympic Winter Games. Kerry grew up in Sydney and was initially coached by his mother Monica MacDonald, a 1988 Calgary Olympian in Ice Dance before he moved to Riverside, California in the 2012 to train with Tammy Gambill. Always a prodigious talent, Kerry began his international career in 2008 in England at an ISU Junior Grand Prix placing 25th as a 14-year-old against more seasoned and older competitors. He stepped up to the ISU Senior Four Continents Championships from 2011, competed in the 2012 World Championships and won his first Senior gold in 2013 at Skate Down Under but remained a junior with his best results being two fifth places at Junior Grand Prix’s in Latvia and Estonia in 2013. As an outside chance for the Sochi 2014 Olympic Winter Games, Kerry competed in the final Olympic qualifying event for the remaining six available quota spots at the Nebelhorn Trophy, Germany in September 2013 and had the skate of his career to date, achieving a place on the Australian Olympic Team. His Sochi performance did not replicate his dream skate from Nebelhorn and he had to be satisfied with 29th place, but the seed was sown for what he could achieve. A mini breakthrough began at the Torun Cup, Poland in early 2015 with a fifth place followed by 20th place at the World Championships in Shanghai, China, which qualified Kerry into the prestigious ISU Grand Prix series for the world’s best that only allows up to twelve men’s entries per event. Kerry’s Grand Prix debut at Skate America delivered an eighth place in a hot field of twelve men where he beat the 2014 Olympic bronze medallist, Denis Ten. In early 2016 a focussed and determined Kerry won bronze at The Nordics as a warmup event before the 2016 Boston, USA World Championships, where he again lifted his game and result, placing 17th and then went on to win gold at Gardena Spring trophy in Italy in April. Kerry was invited to two ISU Grand Prix events for the 2016/17 season. Skate America placing 10th and Trophee de France also 10th. After relatively low results at ISU Four Continents in the past, the 2017 Olympic Test Event in PyeongChang was a turning point for the only Australian who can perform quad jumps that he landed in both the short and free program and ended in a career-best 11th place overall. From Korea, Kerry hot-footed it to Sapporo for the Asian Winter Games where he landed three perfect quad jumps throughout his campaign – two of which were the toe-loop and salchow in the free program to earn personal best scores in all phases of the event and a total of 237.37 points. It was also the first time an Australian had landed two different quad jumps in the same performance. The 2017 World Championships in Helsinki, Finland were pivotal because the results determined the bulk of the qualification quota places for the 2018 Olympic Winter Games. Again, Brendan Kerry delivered in a pressure -packed situation. Skating early in a very large field of 36 skaters vying for 24 places in the final he skated a personal best and perfect short program, placing 13th and scoring a PB of 83.11. He elected to go for a safer technical free program than at Asian Winter Games with two triple axels and one quad jump, scoring 153.13 for a total 236.24 and a guaranteed Olympic quota spot for the 2018 PyeongChang Games. Competing in his second Olympic Winter Games in PyeongChang, Kerry finished his short program in 16th place. In the free skating he overcame a slight hesitation on his opening jump to cement his place in the top tier of international figure skaters, finishing the event 20th overall with a total score of 233.81. Proudest moment: Becoming the first ever Aussie to crack a 200+ score at my first ever Grand Prix event. I began my sport in ... 2004 because I watched the NSW state championships and just felt a weird urge like I had to skate. When I am not training or competing I am: Always out and about with friends, at the beach or spending time with my dogs. I enjoy my sport because of the feeling of accomplishment I get from doing well and the addiction to constant self improvement in what I do. Education: High School graduate – Part time Uni student. Favourite other sport to watch or play: Any Redbull event is always insanely awesome to watch! My Hero is Jared Leto – his outlook on life and the way that he is so successful in multiple industries while being heavily active in physical tasks is inspiring. Sponsors: Edea and John Wilson Blades. Childhood Ambition: Becoming a three-time winter Olympian.